Your comment was forwarded to me and I regret our lack of attention to your needs. I'll make no excuses but our agents are trained to get you all of the information you need to make the best decision. It seems we fell short in your case and I apologize. The sales manager of our Houston office, Tim Cortez, will be in touch with shortly if he has not already. Please don't hesitate to call me if I can be of assistance, my direct number is below, and thanks for bringing this to my attention. I will use it to improve our service. 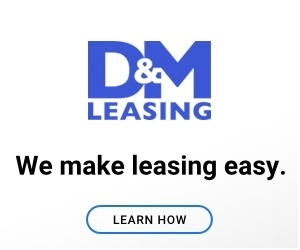 I need to replace a worn-out truck, and I hear Matt Patrick on the radio talking about how wonderful D&M Auto Leasing is, so I went there, first. I'm a 58-year-old veteran working for the state, and I don't make a lot of money, which is why I currently drive a 14-year-old truck. The initial response from D&M was quick and to the point, so they get points for that... but then a week has gone by with not one word from them. I'm old, I'm broke, and I have poor credit, but the agent George Doinidis said he'd try to find a used RAV-4 for me. The assistant to the General Manager reached out to make sure that my initial inquiry got a response. No contact at all, and my calls go unanswered. I guess I wasted a week on D&M, and I'll have to go car shopping. I didn't like: Total lack of communication. Review #1016535 is a subjective opinion of User1016535.